Since retiring from engineering, Joe Lagnese, Water Environment Federation (Alexandria, Va.) president from 1971 to 1972, performs as a musician in the Swingtet 8 band. Photo courtesy of Lagnese. Joe Lagnese may have had a long career in engineering, but his talents extend from the technical to the artistic. Lagnese first joined the Water Environment Federation (WEF; Alexandria, Va.) and the Pennsylvania Water Environment Association (WEA) in 1956. He also served as WEF president from 1971 to 1972 and has earned WEF Honorary Membership. 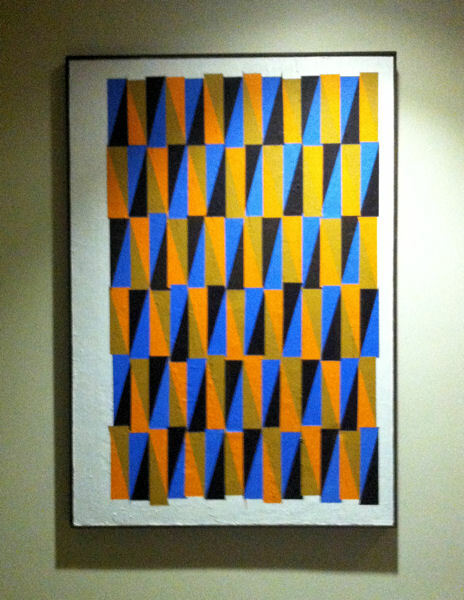 One of Lagnese’s favorite creations, titled “Harlequins,” exemplifies his use of acrylics and geometric shapes. Photo courtesy of Lagnese. Lagnese’s love for the arts began at a young age. He studied clarinet, saxophone, piano, and harmony, and performed classical, jazz, and big band music. “It was a tough decision to choose between engineering and music as a career,” Lagnese said. But after taking a summer session at Julliard School of Music in New York while studying engineering, he chose to continue pursuing engineering as a career, he said. In 1951, Lagnese graduated from the University of Pittsburgh (Penn.) with a bachelor’s degree in civil engineering and joined the U.S. Air Force. He gained wastewater experience with the Air Force by serving as a sanitary engineer and then as a liaison officer to the Robert A. Taft Sanitary Research Center (Cincinnati). Through a military continuing education program, he earned a master’s degree in engineering from Johns Hopkins University (Baltimore). 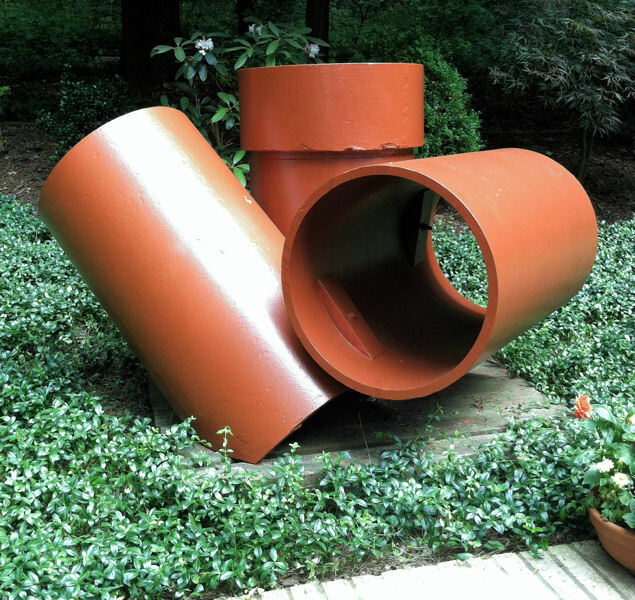 Lagnese’s sculptures, such as this piece called “Reconfiguration,” even have incorporated pipes leftover from a construction project that his engineering firm participated in. Photo courtesy of Lagnese. After finishing his military service in 1956, Lagnese began working for a consulting engineering firm and joined WEF and the Pennsylvania WEA. He went on to form the engineering firm Duncan, Lagnese, and Associates in 1958 (find out more on this website). The company specialized in water and wastewater engineering and grew to employ 100 staff. After the company was sold in 1976, Lagnese became a freelance consultant until he retired in 2009. 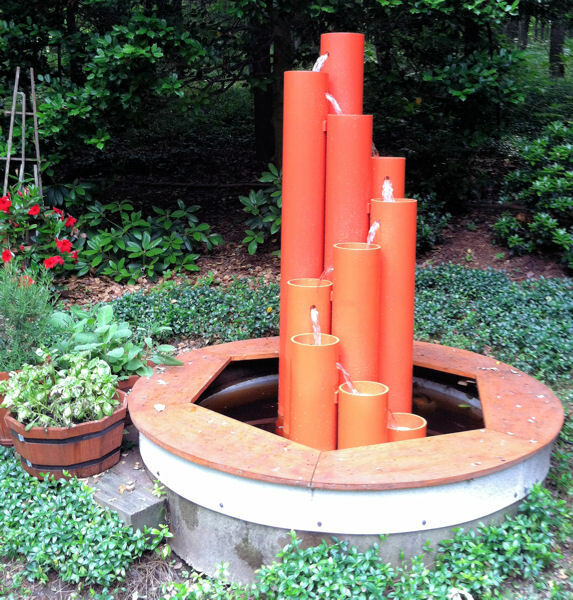 Lagnese drew inspiration from the water sector for the artwork he has created, including this sculpture, “Water Rope.” Photo courtesy of Lagnese. While working as a successful engineer in the water sector, Lagnese began creating artwork. “My interest in art had, to some extent, been derived from my primary vocation of design engineering,” Lagnese said. Designing anything, even water resource recovery facilities, requires some creative skills, he said. Lagnese’s art evolved from sketches to large drawings to full-sized sculptures and canvas work, he said. His first real piece — a wood and glass table — resulted from a desire to furnish his home on a budget. “My financial limitations pushed me to create both furnishings and art that would fill the places up in a contemporary mode,” he said. 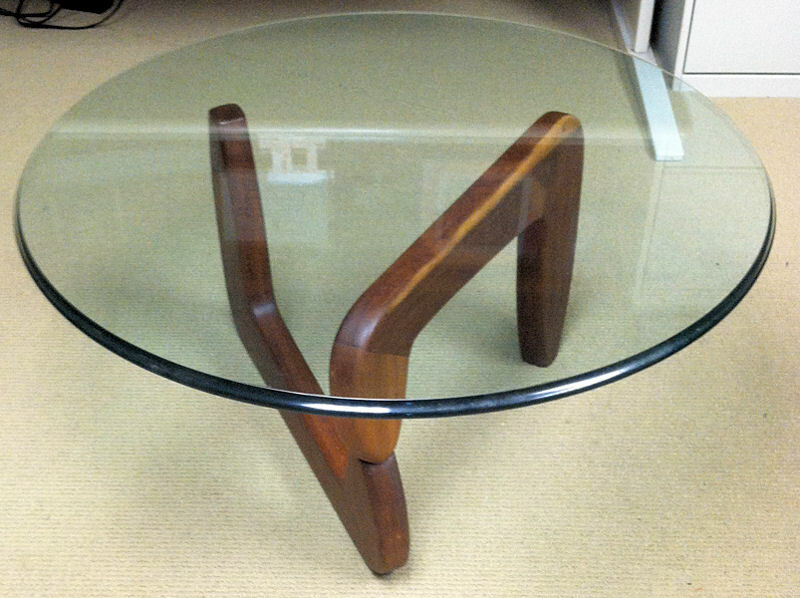 This wood and glass table was one of Lagnese’s earliest pieces, built as furnishing for his home. Photo courtesy of Lagnese. Following his first creation, many other of Lagnese’s designs have paid homage to the “beauty of simplicity and of form,” Lagnese said. “My engineering background must also be responsible for the geometric shapes, which predominate [in] most of my creations.” Pieces have included a sculpture made from pipes leftover from a construction project that Lagnese’s firm participated in. While Lagnese exhibits his art in local shows, he usually does not sell it, preferring to keep the pieces at home. He considers his home as his favorite creation since he designed it in the late 1960s, he said. 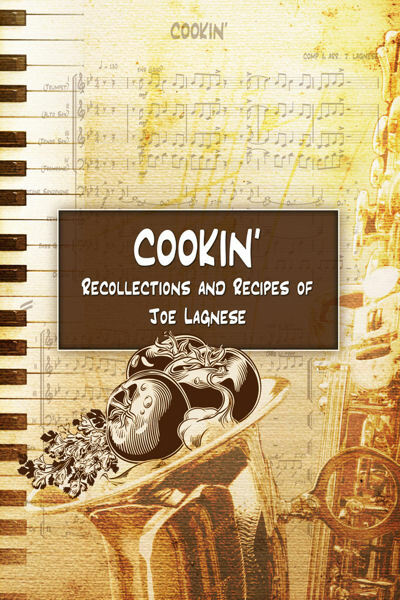 Cookin’, Recollections, and Recipes, Lagnese shares his life’s story and approach to cooking. Photo courtesy of Lagnese. ” width=”200″ height=”300″> In his book, Cookin’, Recollections, and Recipes, Lagnese shares his life’s story and approach to cooking. Photo courtesy of Lagnese. Lagnese also turned another hobby into an opportunity to raise money for a foundation run by the family. Growing up in an Italian-American home, he developed a skill and passion for cooking that he continued to develop as his family grew. “[I] found it fun and an outlet for creativity,” he said. Lagnese published the book, Cookin’, Recollections, and Recipes, to share his life’s story and a qualitative approach to cooking. Proceeds from the book’s sale benefit Muriel’s Breath of Life, an organization working to further cystic fibrosis treatment, in memory of Lagnese’s oldest daughter-in-law. 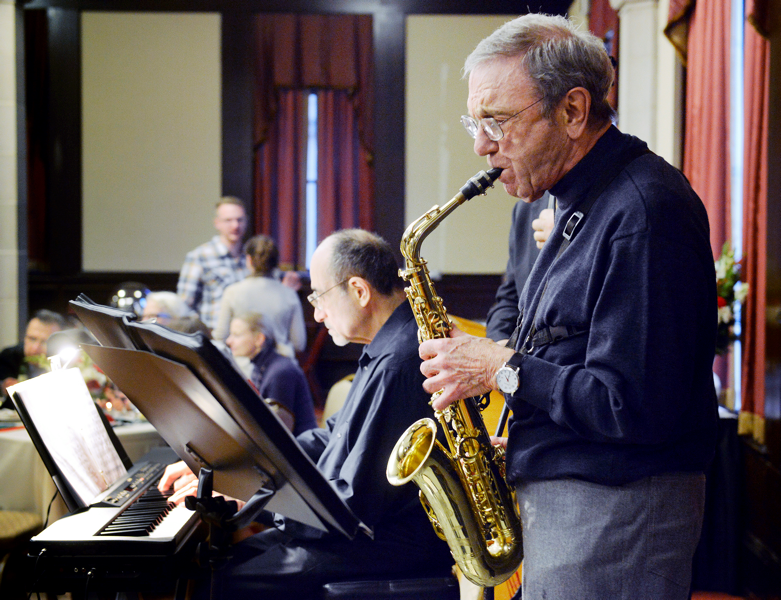 After retiring, Lagnese returned to music. With an interest in arranging music, he formed two bands and performs as a member of both Swingtet 8 and Jazz3. Swingtet 8 has released two CDs, and both bands rehearse and perform regularly. He also provides music for foundation events, and offers performances from the bands for auctions. He also offers personal catering services for auctions, he said. 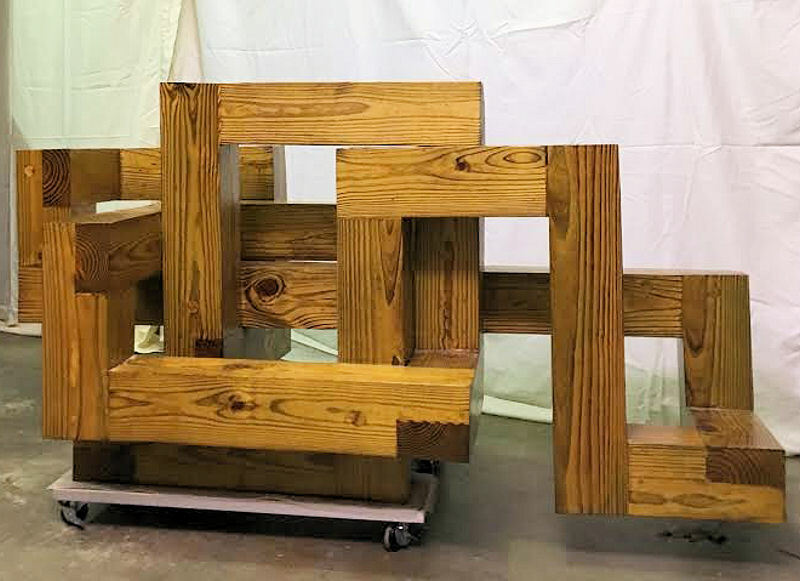 As a member of the Associated Arts of Pittsburgh, Lagnese is considering submitting a recent wood sculpture, “Mobius II,” at the organization’s art show. Photo courtesy of Lagnese. While Lagnese enjoys his artistic ventures, he is proud of his career and recognizes the benefits of belonging to WEF and the Pennsylvania WEA. “[I] will always hold a special remembrance and satisfaction in the opportunity provided to me by the Federation,” Lagnese said. He also continues to stay involved in the organizations and has written a viewpoint, “The changing role of the Water Environment Federation,” published in WEF’s magazine, WE&T.